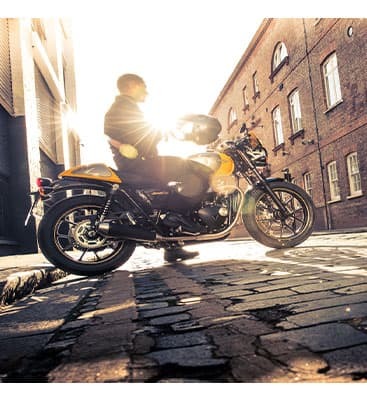 With our Triumph’s Spring Unchained program, you can access up to $1000 cash or 0% APR* on a new Triumph motorcycle purchase. Spring is coming in hot, and we know you're going to need a customizable, road-ready bike to get you ready for the riding season. It's time to kick-start your adventures with a top-quality Tiger 800 or a Tiger 1200. Visit our dealership before April 30th, 2019 and enjoy this fantastic discount, which will not last long! It's time to access new adventures with a free set of Expedition Panniers, which come with every new Tiger 1200 purchased through this program. Buying a 2018 or earlier Tiger 1200 model can ensure you have access to $1,000 Triumph Cash or special financing rate of 1.99% for 48 months or 3.99% for 60 months or 6.99% for 72 months. Buying a 2019 Tiger 1200 also has its perks. You'll gain access to a special financing rate of 6.29% for 48 months or 6.89% for 60 months or 7.69% for 72 months. Talk to our finance department for details! The bikes above also come with free Expedition Panniers, so long as you buy a brand new Tiger 800 is purchased through this program! Motorists can also expect that the 2018 and prior Tiger 800 models come with $1,000 Triumph Cash or special financing rate of 1.99% for 48 months or 3.99% for 60 months or 6.99% for 72 months. 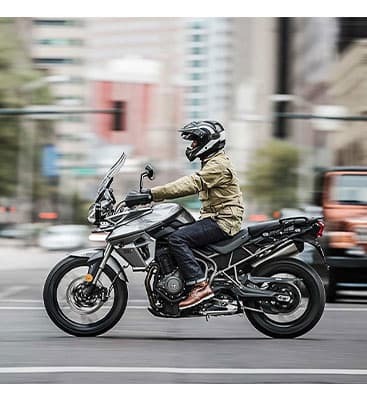 Buying a 2019 Tiger 800 comes with an amazing rate of 6.29% for 48 months or 6.89% for 60 months or 7.69% for 72 months. Buying a 2018 or earlier year Rocket III results in a choice of $1,000 Triumph Cash or an exceptional financing rate of 6.29% for 48 months or 6.89% for 60 months or 7.69% for 72 months. Should you choose to buy a 2018 & prior Street Triple model, you can access $500 Triumph Cash or a rate of 1.99% for 48 months or 3.99% for 60 months or 6.99% for 72 months. 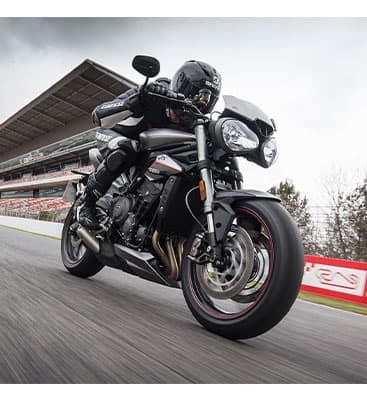 Anyone who chooses to finance a 2019 Street Triple model will access a rate of 6.29% for 48 months or 6.89% for 60 months or 7.69% for 72 months. Buy a 2018 or prior year T120 & T120 Black models can and choose between $750 Triumph Cash or a competitive rate of 1.99% for 48 months or 3.99% for 60 months or 6.99% for 72 months. If you're interested in the 2019 T120 & T120 Black models, please check out our promotional rate of 1.99% for 48 months or 3.99% for 60 months or 6.99% for 72 months. The Street Twin & Street Scrambler models (2018 or earlier) come with a choice of $1,000 Triumph Cash or a competitive rate of 0% for 48 months or 3.99% for 60 months or 6.99% for 72 months. 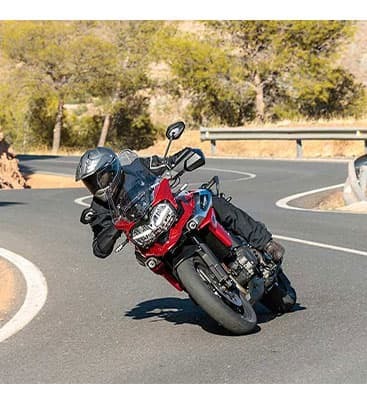 However, the 2018 or earlier model year T100 & T100 Black bikes come with a $750 Triumph Cash credit or a extraordinary loan rate of 0% for 48 months or 3.99% for 60 months or 6.99% for 72 months. Buy a 2018 or earlier model year Bonneville Speedmaster and enjoy either $1,000 Triumph Cash or special financing rate of 0% for 48 months or 3.99% for 60 months or 6.99% for 72 months. Drivers can also purchase 2018 & prior Bonneville Bobber & Bobber Black motorcycles, which come with special options. Choose between $750 Triumph Cash or special financing rate of 0% for 48 months or 3.99% for 60 months or 6.99% for 72 months. 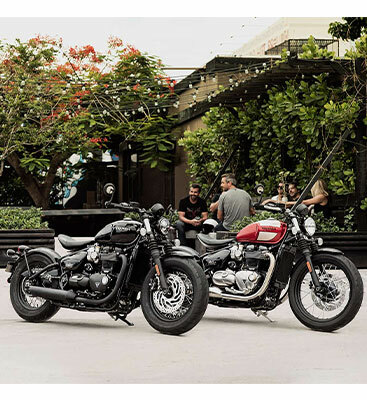 Buy 2019 Speedmaster, Bobber & Bobber Black motorcycles and access a special rate of 0% for 48 months or 3.99% for 60 months or 6.99% for 72 months.